While the Windows 8 ribbon brings radical changes to explorer.exe, it has clearly evolved from the Office Ribbon. Observe how the new Windows 8 Explorer focuses on three tabs at the top: Home, Share, and View. On the left side is the File menu to provide common operations such as ‘Copy’. Incidentally, I find ‘Copy as path’ handy for pasting a network file path. Microsoft has taken ages to perfect the Ribbon menu, but in Windows 8 it seems to have reached the right balance between taking real-estate and providing useful, intuitive buttons. And if you don’t like the ribbon seek the collapse, it’s next to the (?) button. I want to look at Microsoft’s design goals for the new Explorer ribbon from two perspectives, I want to sift out the hype while gaining an understanding of the benefits of the new file management interface. As a result of these radical changes the most used commands are now found in the most prominent areas of the ribbon. The perceived wisdom is that the ribbon approach reduces nested menus. Developers have positioned the icons in groups which make sense and are consistent, a key litmus test for success is do the icons become predictable in new contexts. The fascinating Windows 8 ribbon screenshot above shows the positions commands that are used most often. Windows 8 Explorer Backward Compatibility – No! Microsoft say: ‘We’ve learned over many product cycles that the work to provide this (backward compatibility) significantly impacts the evolution of the product.’ Translation: No old-style Windows 7 / XP style explorer is available in Windows 8. Guy says: Microsoft developers are idle toads! Give die-hards at least a basic old model. My advice is to navigate in the Control Panel –> Appearance and Personalization, then ‘Show hidden files and folders’. See familiar menu in screenshot to the right. I just wanted to say that it was a neat touch to introduce the Windows Icon on the SystemDrive. As a result I can see instantly where my Windows 8 operating system is installed. Incidentally, the E: has the installation files, and that too has an eye-catching symbol. The internet explorer (iexplorer.exe) and the desktop explorer (explorer.exe) continue to converge. 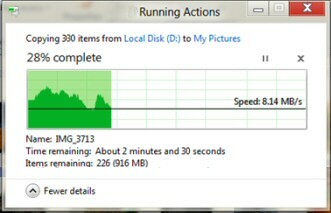 For example, the Windows 8 explorer deals with file operations in the same way as Internet Explorer download files. One benefit is that you can pause or cancel a job with the click of a button. Incidentally, the New UI techniques also extend to IE 10, where the browser is optimised for touch and panning. IE 10 even has a split-screen keyboard so that you can typing urls with your thumb. Internet Explorer Immersive is an alternative to Aero Graphics for tablets, phones and some laptops. It will also has hardware accelerated HTML 5 to support a whole range of apps. 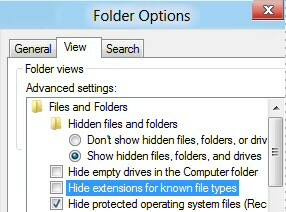 Here are tips to find your files using the Windows Explorer Search dialog box; please note: there is a separate box to search for Windows 8 Apps. The crucial point is to type the operator in UPPER case. Its logic is to searching the contents of files for the words on either side of the Boolean operator. Get into the rhythm of the syntax, Keyword colon operator. Size:>100mb Greater than 100 megabytes. 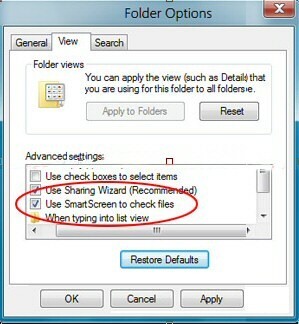 The way to understand SmartScreen think of ‘Screen’ as meaning protect against malicious files. The subliminal point is that Microsoft are stepping-up their mission to secure your system from malware. The downside is that you may get false positives from good software that just is not digitally signed or on Microsoft’s white list. No More Optical Drives in Explorer? Apple has done away with the optical drive with the MacBook Air, and it looks as if Microsoft may be anticipating the death of the disc drive with Windows 8. Redmond’s adding native Explorer support for ISO and VHD files in Windows 8. This means there will be less demand for the old DVD or CD-ROM drive. However, there is no technical reason why Windows 8 PCs could not have optical drives. "Microsoft doesn’t build the PCs, so it’s up to the OEMs to decide whether or not they want to build them without optical drives," Directions on Microsoft’s Cherry pointed out. "I don’t think optical drives are as necessary as people think they are," Cherry added. The relevance of this to Windows 8 Explorer is that if manufacturers don’t supply optical drives, then users’ music and image files have to be transferred over a network, and this means Explorer must enable rapid file transfer. Microsoft analysts have researched users most common explorer operations. This is why developers have concentrated on making common operations such as copy and paste easier. For example, if you copy and paste files with the same name, the Windows 8 Explorer consolidates conflicts onto a thumbnailed pane, then you can decide which versions you want to keep at your leisure.